Turkey as a country is probably one of the richest and most diverse when it comes to the cultural memory of its lands and people. The Thracian and Anatolian landscape that we, as Turks inhabit is the birthplace of not only Western civilization but also Christianity as well. Greeks, Romans, Byzantines and finally Ottomans lived and ruled these lands, each leaving behind the traces of their unique culture and history. The historic peninsula in modern day Istanbul is the visual manifestation of the fusion of the two great empires that made it their capital, the Roman and the Ottoman. It is futile to insist a disassociation with the city's Byzantine past just as it is with its Ottoman past... although some still try. As Istanbulites, we are blessed with such a rich cultural memory which unfortunately perishes a little bit more every day. 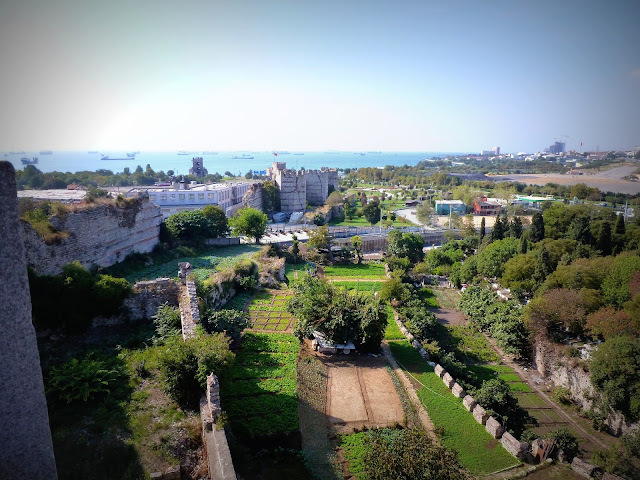 Whenever I fly back to Istanbul my chosen route to get into the city is to take the shore road that runs along the Marmara sea from Bakirkoy all the way past the historic peninsula with its prominent remainders of the Byzantine and Ottoman Empires. It is not only a scenic drive with beautiful vistas all along the way, it is also the same route the Byzantine Emperors had taken,when coming back to their capital from the West, starting in the fourth or fifth century. 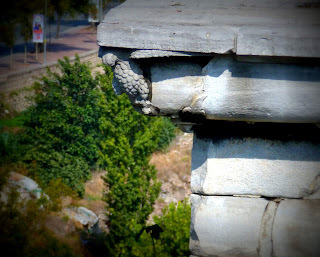 It requires quite a vivid imagination today to visualize Bakirkoy as Hebdomon, the seventh milestone from the Roman city. There were seaside palaces and two churches with one built to house the relic head of St John the Baptist. Like the Campus Martius in Rome, this was where the army camped, exercised and gathered to leave for campaigns. It was also the place where emperors were claimed as emperors by the army in late antiquity. 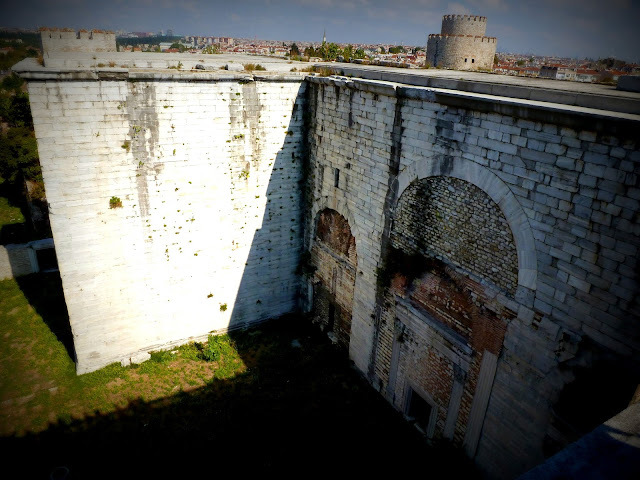 As one drives along, the first important site to welcome the weary traveler is the Seven Towers Fortress, this is where the monumental Porta Aurea, Golden Gate, the most important entrance of the Byzantine walls stands and the city walls of Constantinople begins. 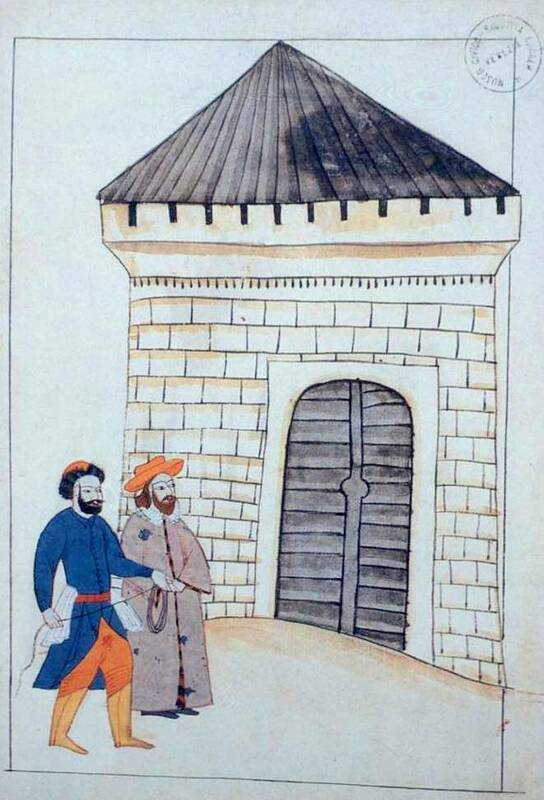 It is thought that the Golden Gate was first erected as a free standing triumphal gate, in the manner of Roman triumphal arches during the reign of Theodosius I, and became the monumental entrance to the city once the walls had been constructed during the reign of Theodosius II. (Bardill, 1999) When returning to the capital, the emperor and his entourage would enter the city with a procession that would start at Hebdomon, pass through the Golden Gate before making their way to the Mese which would take them to the Hagia Sophia and the Great Palace. (Mango, 2000) It is reported in ancient sources that there was a statue of an emperor (Theodosius I) riding in victory with three elephants drawing his chariot atop the Golden Gate. (There is a YouTube video of the Golden Gate made by byzantium1200.com which gives one a very good idea of how it must have been situated.) Today all we have left of this magnificent gate are three brick filled arches. The impregnable triple Theodosian land walls including an inner and outer wall and a moat could not be breached for more than a thousand years. It is a poignant experience to stand atop the Golden Gate and look out towards the surrounding urban landscape that illustrates the situation of the Roman empire in the fifth century when the walls had been built. 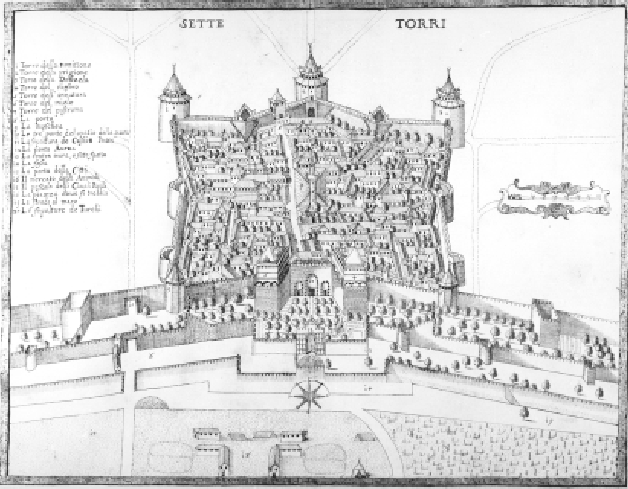 The capital city was to the East and presumed danger to the West, its European hinterland. 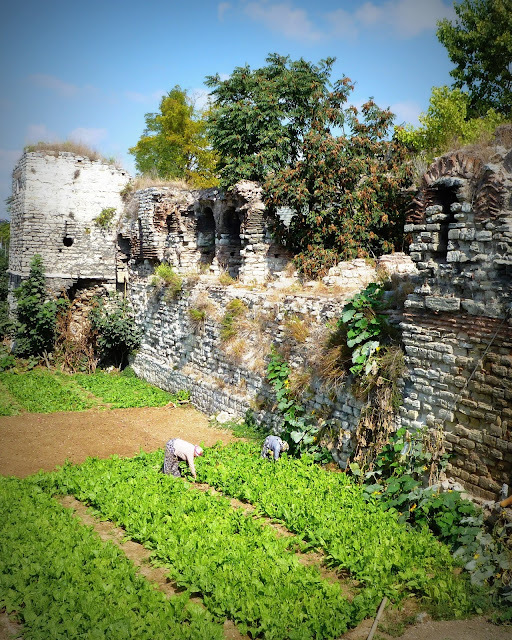 The orchards that run adjacent to the walls supplied the city of Istanbul since Byzantine times, a direct link to the past. This area was turned into a fortress by the Ottoman Sultan Mehmed II after the conquest in 1453, hence the name Yedikule (Seven Towers) Fortress. Aside from the towers not much can recall the fortress that was used as a treasury, archive and most notably as a prison which had some very distinguished occupants from Sultan Osman II to the Venetian ambassador to Constantinople, Jacopo Saronzo. Although there is a plaque in one of the dark dungeons identifying it as the room where Sultan Osman II was strangled to death. Gruesome details have been recorded about the Sultan's unwillingness to comply with the demands of his executioners - the strangulation by silk cord, the only method of execution acceptable for a Sultan, achieved only after he had fainted a feat accomplished by the Grand vizier seizing his testicles. 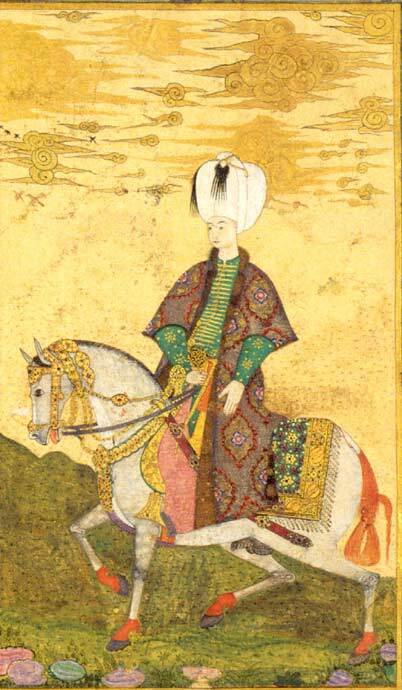 Osman II who is known also as "Genc Osman" (Osman the Young) had ascended the throne only at fourteen years of age, the miniature below illustrating him in all his finery. 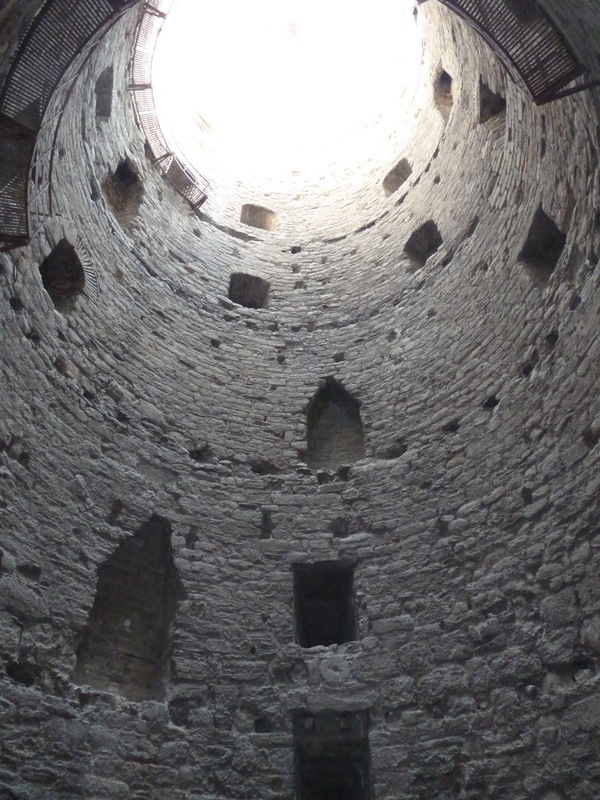 This monument that has been a witness to the history of this landscape for more than 1,600 years is one of the many ruins that can be visited requiring a small admission fee and a vivid imagination. The golden letters inscribed at the Golden Gate ascribed to the origin of the name, the magnificent sculptures are long gone. 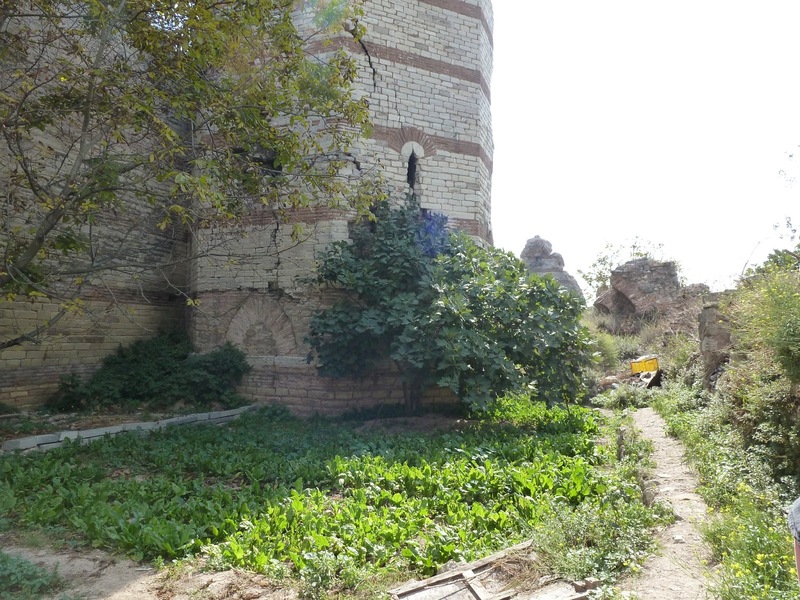 The only clues to the history of these architectural remains can be found in the pages of historical sources like the Byzantine Book of Ceremonies, maps drawn by European travelers to Istanbul or 17th century illuminated manuscript like the Codex Cicogna. 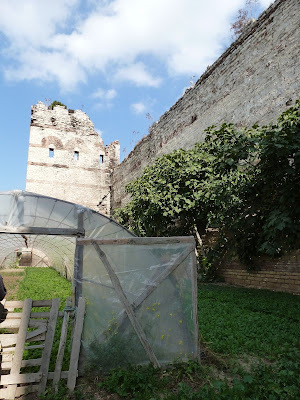 There are documents, (a letter giving permission for a farmer to store his tools in one of the towers) that attest to the use of this area for agricultural purposes during the time of the Byzantines. As urbanization and modern technologies take over all that is natural in our world, the last remnants of a bygone era that is still existing in modern day Istanbul is being destroyed as I write these words. 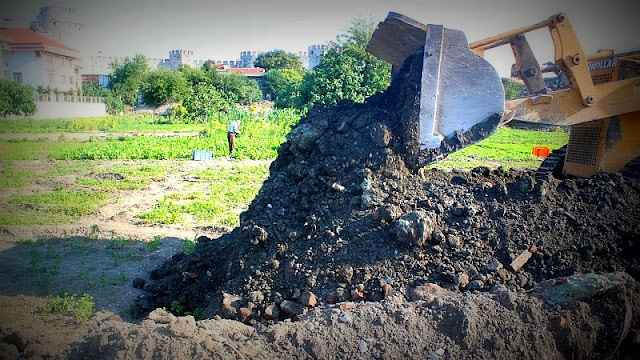 The orchards of Yedikule are being demolished to make room for a park. 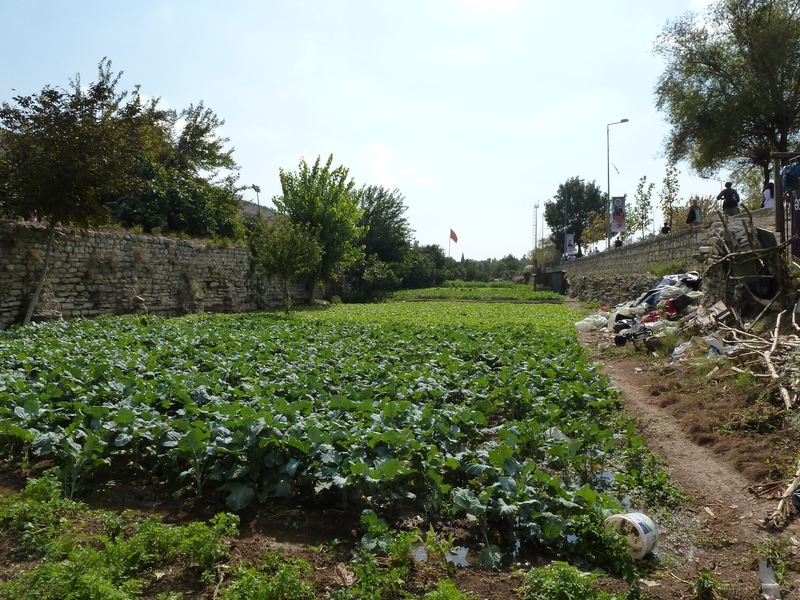 In a day and age where the most civilized and modern cities from all over the world are trying to integrate agriculture into the urban environment in order to establish ecological, social and cultural networks, the authorities in Istanbul are destroying a living, working model in the name of modernization. This atrocity brings tears to my eyes. I can't help but ask how hard would it have been to turn this area to a community garden? And, in case anyone is wondering, this, is why people are still protesting in the streets of Istanbul, even after forty days of violent police intervention. 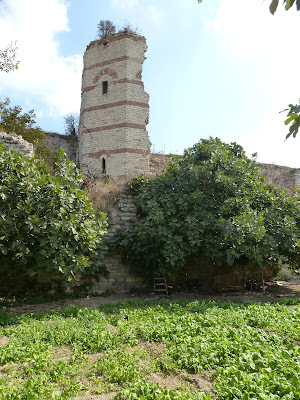 Orchards and the Cultural Memory of the Yedikule Fortress being destroyed. So glad I found your blogs. Added both to my feed readers :-) Looking forward to following you. Welcome to Sedef's Corner. I am so glad you found my blogs too. I just saw your blog and love it - "People become stories and stories become understanding." Couldn't have said it better myself. I was all set to go see the Golden Gate, using my vivid imagination while thinking about Byzantines and Ottomans in that very spot, when I got to the part of the destruction of the orchard. You're so right - a community garden here - how striking and practical that would be. I may still go, but I'm glad to be prepared. Thanks, as always, for an informative and imaginative post (I'm not sure how you do it!)! You must go! It's such a profound experience, and you must climb on top of the Golden Gate. Where else can you be that close to history? No matter what it lacks the landscape and the structures are still there and they will tell you their story if you will let them.